In the book of Ruth - a woman is faced with challenging decisions. Some she created for herself and others were out of her control. Even though Ruth had a choice to make when her husband passed away, she knew her identity and she knew who she belonged to. She knew God was her father. She told her mother-in-law that wherever she went, she would go too. As well as who her God was, was now her God as well. She might have not known who God was before her mother-in-law showed her who God was, but she had chose and decided that her identity from that moment on was to be rooted in God. She didn’t know all the details or how it was supposed to be. She showed great faith in that she chose to follow God whole-heartedly. When Ruth made up her mind about her identity, her life took a positive turn and God cared and provided for His daughter. Personally, I can relate to Ruth in that once I made the decision to follow Jesus and accepted that God is my heavenly father, my life drastically changed for the better. Knowing and believing to my core that God is my heavenly father, brings a peace and joy that only He can provide. In moments when I forget who my heavenly father is, I remind myself of His promises in scripture and say declarations confirming that I indeed am His daughter - as are you sweet woman! I think God wants us ladies to remember Him and know deep in our hearts that He loves us all dearly and only wants the absolute best for us. The same way Ruth decided to follow God is the same way you and I can accept him as our father. We can decide to allow God to take care of everything in our lives and depend on him for everything! I pray that you show your beautiful daughter that you are her father. Let her know that she can depend on you to supply all her needs. Also, that you have her, her life, and her family and friends in the sweet palms of your hands. In times of need, wrap your loving – papa arms around her and comfort her with your peace and joy that comes only from you. Thank you for taking great care of your daughter. 1. Are there any lies you have been believing about your identity? 2. How do you know you are a child of God? What Bible verses can serve as a reminder of whose you are? 3. In what ways can you apply the truth of your identity in Christ daily? 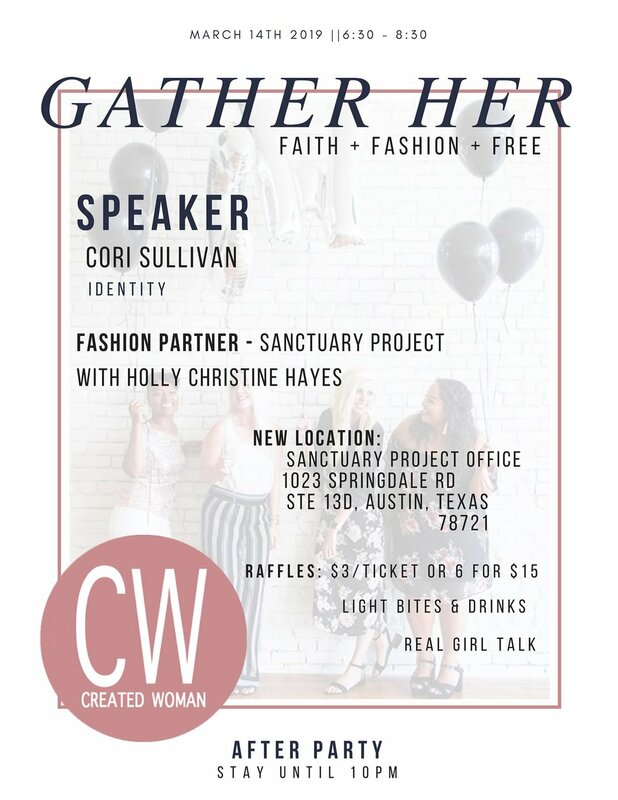 You are invited to Gather Her! Older PostWhat are you wearing? Is it really you?